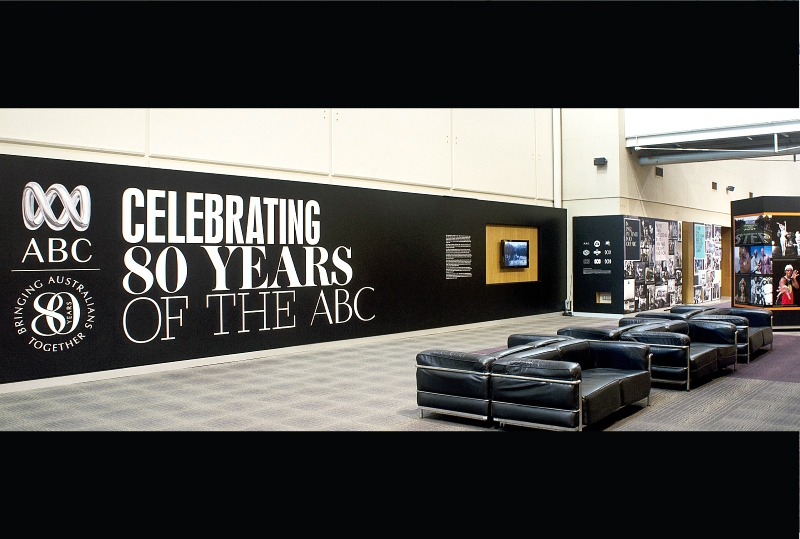 After the well-received exhibition for 'ABC Open' in the atrium of the ABC's head offices located in Ultimo, Sydney, ABC approached us to conceptualize the exhibition 'Celebrating 80 years of the ABC'. 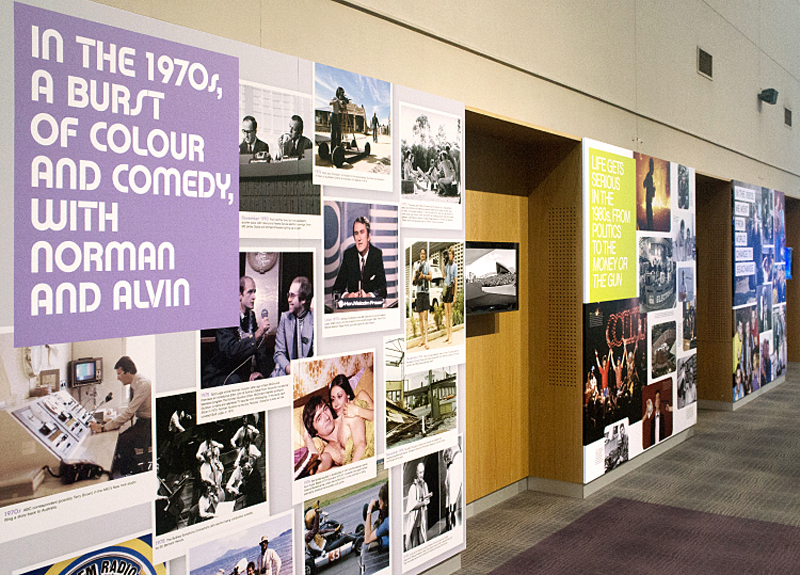 The exhibition aims to convey the significance and evolution of the public broadcaster including how it has stayed ahead of the game in the new media landscape as well as highlighting the poignant moments in its illustrious history. 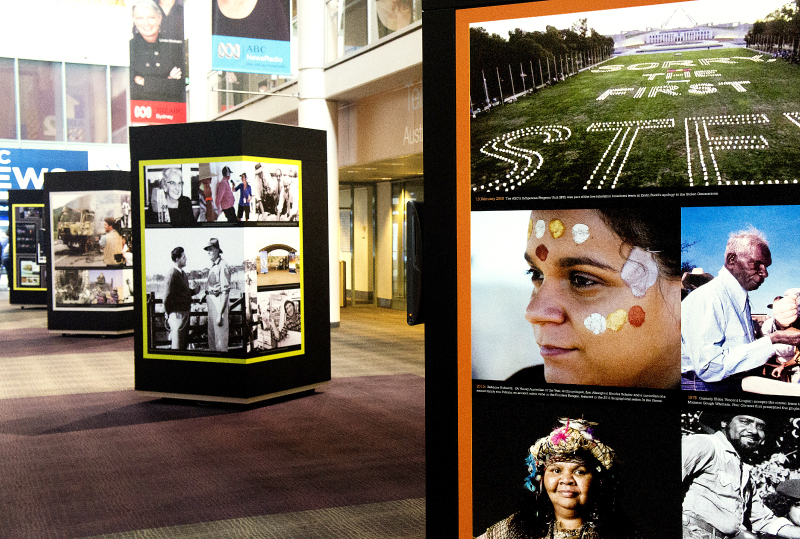 We took the approach of storytelling creating a colloquial tone of voice that resonates with the audience to bring the stories and conversations ABC has had with Australians in the past 80 years to the fore. 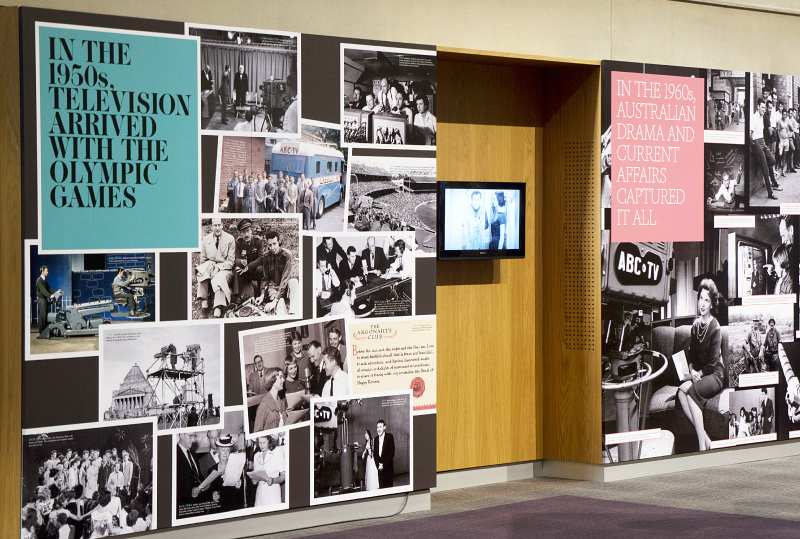 The typographic and visual language speak in the vernacular of each decade conveying ABC’s ability to change with technology and the times from radio to TV, online and mobile. 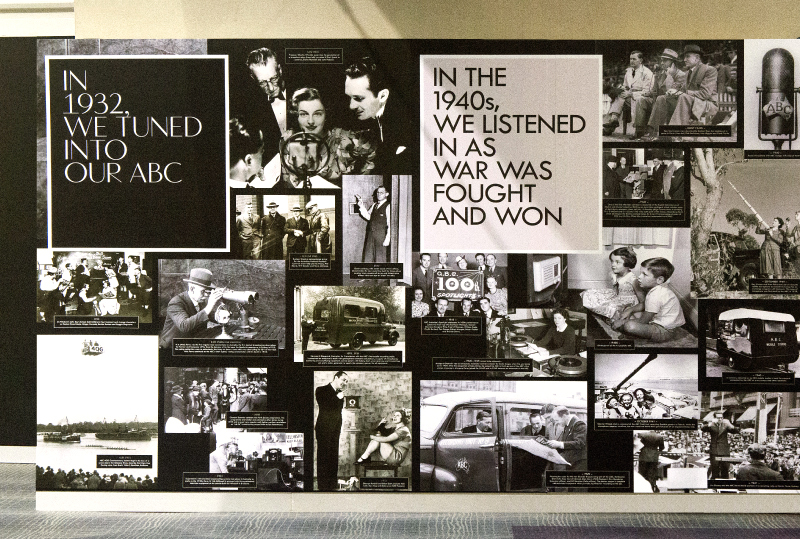 The exhibition is interspersed with multimedia programming covering ABC’s achievements, programs and personalities produced by the ABC. 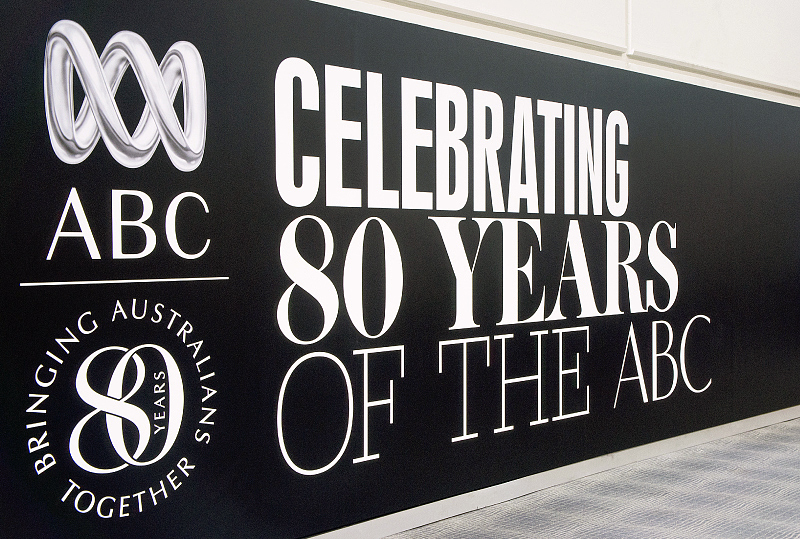 Client: ABC.